Dr. Erin Pollinger loves her job. In speaking with her about her business it is impossible not to notice the passion and commitment she has to her life as a Network Chiropractor. 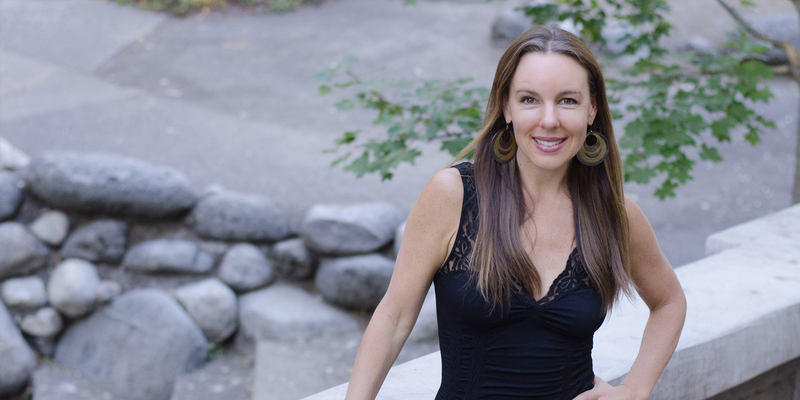 Erin knows the power of this work first hand and has been bringing new life energy to her patients for over 15 years. Dr. Erin worked at Hidden Springs Wellness Center for 12 years and now has her own home based practice, Soulwave Chiropractic Studio, where she has been for the past year and a half. Although its roots lie in traditional chiropractic principles, the father of Network Chiropractic, Donald Epstein, has taken wellness to a new level by creating Network Care, which consists of Network Spinal Analysis (NSA) and Somato Respiratory Integration (SRI). As the only practitioner currently serving the Rogue Valley, Dr. Erin has built a thriving practice dispelling the myth that Chiropractic care is strictly all about back pain. Serving children, teens and adults of all ages, Dr. Erin is able to assist patients in transforming physical pain and discomfort into new methods of living lives of physical, emotional, mental and spiritual wellness. I spoke with Dr. Erin recently to learn more about Soulwave Chiropractic and to find out why she is so darn happy to be doing what she does. Q: What are Network Spinal Analysis (NSA) and Somato Respiratory Integration (SRI)? Help us understand the basics of what you do. A: I am essentially teaching the body a new language, through 3 Levels of Network Care, to reorganize to a higher level so that the person receiving care can live a life full of passion and connection while feeling incredible in their body. Network Care consists of Network Spinal Analysis (NSA) and Somato Respiratory Integration (SRI). NSA was first developed in the early 80′s by Dr. Donald Epstein. Like all of Chiropractic, NSA focuses on the nervous system, which is your brain, spinal cord and all the nerves that control all functions in the body and determine how you perceive reality. However, NSA is very different from traditional chiropractic and is much more evolved and advanced than most forms practiced today. When the body experiences a physical, emotional, or chemical stress that it cannot handle, it is shunted to the organs and tissues and stored as trauma. The body then takes on a defense posture and physical degeneration, poor adaptation to stress, poor lifestyle choices and decrease in overall wellness and life enjoyment occur. Life is then perceived as a survival issue rather than an opportunity for growth and evolution. In NSA, we make gentle contacts applied at spinal gateways, associated with the brain/body shifting from defense posture to that of ease, resulting in better ability to make constructive choices for one’s body, emotions and life. SRI, or the 12 Stages of Healing, is a means of gaining the wisdom withheld from your body/mind through the use of your own hands, breath, and movement. 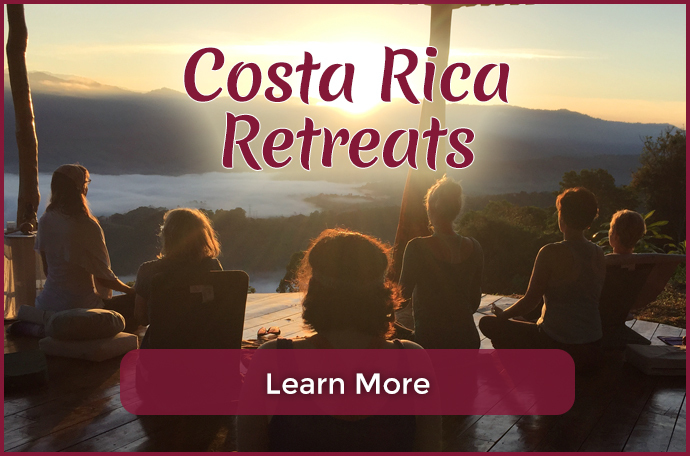 The power of these exercises allows us to connect to the consciousness of our healing journey, from the pain or suffering, to reclaiming our power, to effortlessly giving our soul gifts and experiencing gratitude for life. Each stage of the healing process has its own rhythm, and no one stage is better than another. They are simply pieces of creating a greater whole. We receive the gift of each stage when we can fully become aware of, acknowledge and accept that stage. The exercises may be performed during a Network entrainment session in the office, or they may be given to do on your own at home. The exercises are easy for anyone of any age and may be comfortably performed just about anywhere. Q: Can you tell us a bit about the 3 Levels of Care? A: In NSA, we are teaching the body evolved strategies that develop as waves throughout the spine. As the practice member experiences these waves, health and wellness exponentially increase. The first wave to develop is the Respiratory Wave in Level 1, and occurs when the breath is fully present in all parts of the spine. This creates a greater level of connection with the body and we can start to pay attention to ourselves in a whole new way. The second type of wave develops in Level 2 and is called the Somatopsychic Wave, which is an undulation of the entire spine and/or oscillation and connection of two spinal gateways, in a figure 8 type of motion. It is a highly evolved response by the nervous system, and helps bring up trauma from deep places, transforming it into energy to be used by the practice member as fuel to make the changes they know they need to make. In Level 3, the Somatopsychic Wave moves from the spine into the heart, physically and emotionally expanding the chest cavity and breaking down barriers between our selves and the rest of the world. We can then be more aligned with our deepest soul’s purpose and experience a greater level of connection, gratitude, and joy. In this Level of Care the body also learns how to self adjust and self correct in response to stress. Q: What is Reorganizational Healing? A: Most health care is restorative, meaning it brings the person back to where they were before the symptom, pain or disease. After the symptom goes away, the person goes back to living the same life as before. 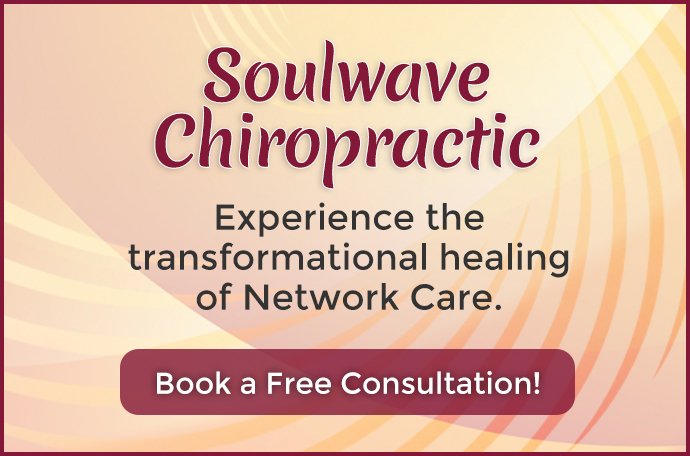 At Soulwave Chiropractic Studio we offer Network Care, which is reorganizational. It has a much different goal and outcome. Reorganizational Healing brings the person back to where they were before the symptom and then helps them evolve way beyond that point. They can then show up more fully and stop settling for behaviors, patterns, thoughts and relationships that do not serve them, and do something different in their lives. Q: What does a typical session look like? A: In a typical session (the sessions are called entrainments), the practice member will come in and lay on the table. I begin by making gentle contacts along the spine. Depending on the level of care they are in I may position them on their side or back and make the appropriate contacts in those positions to help them progress through the 3 Levels of Care. I additionally may guide them through a particular Stage of Healing exercise within the entrainment. Entrainments typically last between 20 minutes and a half hour. Q: What are some of the reasons that people typically come to see you? A: Most people come in with a pain or symptom that they want me to fix. I educate them that pain and symptoms are the body’s way of saying “Stop, pay attention and do something different!” Pain is always the message that we need to make a change in our lives or look more deeply into how we can be living the life that we truly desire. Even if the pain is due to a physical distortion in the body, it almost always is connected to an emotional component as well. My job is to help people maximize what the pain is trying to tell them so that their lives can change. As a result, the pain almost always goes away. I am teaching the body a new language through 3 Levels of Care, which eventually allows the practice member to self adjust and self correct in the face of stress. I am a guide for my practice members and am taking them on a journey into a life of more passion, connection, and life purpose. It is not a quick fix to get rid of pain. Q: What are the gateways of the body? A: The gateways are spaces along the spine that are access points into the nervous system. Through contacting the gateways a message is sent to the brain to make a shift in the body towards more ease and expansion. As one progresses through care the gateways get bigger and actually start to oscillate. When a person has many open gateways, he or she is more able to have a greater range of perception and see themselves and life in a new way. From this point different choices that are more serving can be made more effortlessly. Q: Talk to us about the power of this work. Can you give us some examples of successes you have witnessed in your clients? A: This work is so extraordinary because it focuses on all aspects of a person, not just the physical. D.D. Palmer, the founder of Chiropractic, said that his purpose for starting the profession was to “unite man the physical with man the spiritual”. 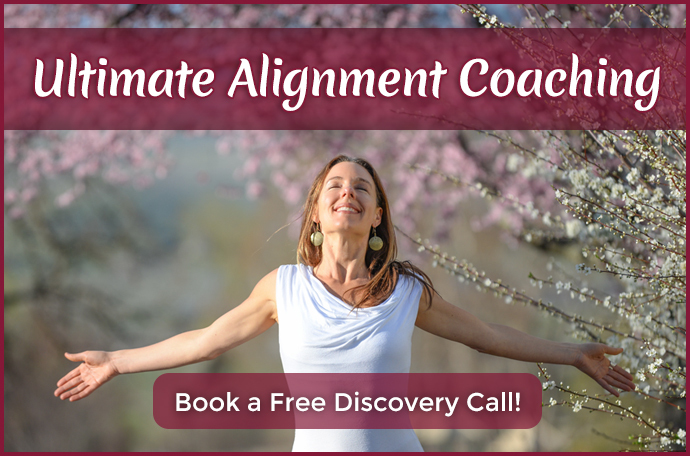 When our posture is in alignment, our nervous system is vibrating at a different frequency or tone, which allows us to be more connected to our deepest soul’s calling. We are meant to live lives full of inspiration, connection to others, gratitude and magnificence and going through this process helps us get there. “My mother started taking me to the chiropractor when I was four. Chiropractic was always a part of my life. The tradition was passed to my children who were also “adjusted.” It wasn’t until my older son was awakened to Network Chiropractic in Vermont that I became familiar with the concept. I was going through a hard time physically and my son encouraged me to find a Network Chiropractor. It was then that I found Dr. Erin Pollinger. That was five years ago and I honestly don’t know what I would have done without Dr. Erin’s help. For the first time I was no longer “adjusted,” but shown how to help myself. She helped me to turn the tension that was really painful into energy that can be creative and helpful. I understand now that treating the symptoms is actually the opposite of what we can and should be doing with our pain. We need to embrace that pain and use it to heal physically, mentally, emotionally and spiritually. This is not an overnight process but neither is the pain that each of us builds and retains in our bodies over a lifetime. Embrace the pain – Yes! Don’t just get rid of it by allowing someone to “adjust” you. You will never learn what is needed to become a better person by yielding to someone else’s power. Q: Your patients report great results over time and there is evidence that suggests that there is a correlation between length of Network care and quality of life. Tell us more about this. A: There is a lot of money that goes into researching this mode of healing (mostly at University of California, Irvine College of Medicine) and several studies that have been done with outstanding results. One of these studies looked at people under care in many different countries. About 80 percent of these people showed significant improvement is their physical, emotional, stress, and life enjoyment categories of health and wellness as well as overall quality of life. It also showed that the longer one is in care, the greater the level of health and wellness with no ceiling. I have been under care for 20 years and can honestly say that the longer I am under care, the more incredible my life gets while continuing to feel more and more ease in my body. I hear this all the time from my practice members as well! Q: Do you have a typical patient? A: I have all kinds of people come into my office, which makes my job interesting as I love to help people from all walks of life. Because of the more gentle nature of this work, I am able to see babies, elderly and everyone in between. I will say that most of the people who are drawn to me and my work are ready on some level to say yes to their lives in a way they have not before and expand their vision of what is possible (even if they do not realize it yet!) Helping people live lives that are more full and rich is so much more exciting to me than simply taking away back pain! And the great thing is that they go hand in hand. Change your posture, change your life and you body feels better. Q: You have referred many times to the 12 Stages of Healing. I understand that you teach these to your practice members to take home with them. Can you tell us about this aspect of your practice? A: The 12 Stages of Healing are organized into 4 Seasons of Well-being. In Season of Discover, we focus on our problems and pain and feel suffering, blame, judgement and are stuck. In Season of Transform, we realize that all pain is an opportunity for growth. We take our power back and release all behaviors, thoughts and patterns that are not serving us any longer so we can make the changes in our lives that we are so ready to make. We focus on the success and the victory and won’t settle for less than that. In Season of Awaken, we are tuned in to our greater connection with life and others and step more fully into giving our unique gifts in life. We are connected to our greater soul’s purpose and are more focused on giving back to our community and the world. We move with gratitude for all of the abundance and beauty in our lives, and are better able to experience the effortlessness of life. In Season of Integrate, we are able to weave the energies of the first 3 Seasons. Here we are able to bring the gifts of one season into another and more consciously choose how we move through life. Q: I understand that you are currently the only Network Chiropractor practicing in the Valley. You must be busy! A: Yes! I have an incredible thriving practice! This transformative work is all over the world now and I have many people who relocate to the area and deeply desire to continue their Network Care because of the incredible benefit they have received. The longer I am in practice, the more committed I am to serving my practice members at the highest level possible. I wake up every morning so grateful that I love my job so much! I think people feel this and are attracted to what I have to offer. Q: You ask for a commitment from those you work with. Tell us about the importance of this. A: When someone wants to work with me, I let them know that we are a team and we both need to show up to make the change that is desired. Network Care is a journey that takes time. It is like learning a foreign language. It does not happen overnight. It takes time to make a deep permanent change in the body, which leads to many deep profound changes in one’s life. Q: You have been practicing for quite a long time Erin. Tell us about the on-going professional development that is available to you. A: Throughout my 15 years as a chiropractor, I have traveled to Colorado a few times a year to study with my teacher, Donald Epstein. He is always changing and evolving the work as we as people are changing and evolving. I attend as many trainings as I can because of my commitment to staying current and bringing my practice members the highest level of service possible. There are also different programs that practitioners and practice members can attend to get entrained by Donald Epstein himself or by his staff. These events create community and help catapult your care and your life to the next level. I am also beginning a year long transformational coaching program this week and will be creating on online coaching program so that I can serve people all around the world. I am so excited about helping people create abundance in their lives, while really living the lives they desire, giving their gifts fully and participating in creating a more beautiful life for all. Q: Do you have any specials or promotions that readers should know about? A: Yes! October is New Patient Appreciation Month and people can receive the initial intake package (first 2 visits) for half price. I am also giving a FREE talk on Tuesday, October 14th at 6:30pm at Hidden Springs Wellness Center for those that are interested in finding out more about this extraordinary type of health care. Q: Is there anything else you’d like for us to know? A: I want people to know that I am so passionate about what I do! I love going into the office every day and witnessing the transformation that takes place. Helping people live more abundant, joyful, and grateful lives while feeling more ease in their bodies simply makes me happy. I truly have the best job in the world! And remember, the shape, position, tension and tone of your spine is in direct relation to the shape, position, tension and tone of your life. Change your spine and your life will follow! Sign up for our news, specials & promotions. ← New Patient Appreciation Month- October!